The Packers will meet the Steelers in Super Bowl XLV at the Cowboy Stadium in Arlington, Texas this Sunday, February 6th. The state-of-the-art stadium was built in 2009, and features the largest high-definition television screen in the world. The stadium is the largest domed stadium in the world. It’s retractable roof should be closed for the Super Bowl, and there could be more than 110,000 in attendance for the game. To get to the Super Bowl, the Packers beat the Bears in the NFC Championship game 21-14, and the Steelers beat the Jets 24-19 in the AFC Championship game. After going 10-6 during the regular season, the Packers had to win three playoff games in order to make it to the Super Bowl. They beat the Eagles, the Falcons and the Bears on the road. Green Bay struggled early in the season, starting off 3-3, then ran off three straight wins going into their bye week. After their bye week, they started off slow again, winning only 2 of their next 5 games. Winning their last 2 games against the Giants and the Bears was just enough to put them into the playoffs as a wildcard team over the Giants and Buccaneers, who also ended the season at 10-6. The Packers quarterback Aaron Rodgers has played out of this world in the playoffs, but showed some cracks in his armor in their last game against the Bears. He is going to have to play at his best in order to keep the Steelers defense at bay. He will have to use a good mixture of runing and passing plays, including spreading the field by throwing deep. He does a good job avoiding the rush, and throwing on the run will be something he will have to be very accurate with against the Steelers defensive blitzing schemes. He has completed 71% of his passes in the playoffs, with six TD’s and two INT’s for a passer rating of 109.2. The offensive line will have to protect Rodgers from a big hit by a blitzing James Harrison (10.5 sacks) or Troy Polamalu (7 interceptions) . Ranked fifth in total passing yards during the regular season, Rodgers will have to utilize the entire receiving corpse, led by Greg Jennings, to stretch the field and make big plays. The Packers were best in the league at yards-after-catch, and also in 20+ yard receptions. 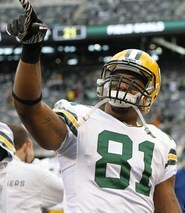 Rookie tight End Andrew Quarless may be a surprise key factor in this game. Another rookie that will need to come up big is running back James Starks. If the Packers can get an early lead, they will have to run the ball effectively to control the tempo and take time off the clock. The Packers use the pass to set up the run, while the Steelers use the run to set up the pass. If the Packers cannot run the ball effectively, it will be a very long day for their offense, as the Steelers will key on the pass. The Packers defense has been solid and steady throughout the year. They were fifth in passing yards allowed and second in sacks with 47 (10 more in the playoffs). They will need to get to Roethlisberger fast so he doesn’t have time to make decisions, and they cannot let him break tackles to extend the play. They have had six interceptions in three playoff games, and have caused three fumbles. Even their 18th ranked rushing defense has stepped up in the playoffs and only allowed an average of 70 rushing yards per game. The Steelers ended the regular season at 12-4 and were division champions. They had the luxury of playing their two playoff games at home. They beat the Ravens and the Jets to make it to the Super Bowl. The Steelers started off 3-1 before entering their bye week, even though quarterback Ben Roethlisberger did not play in those games due to his suspension. They started off slow after their bye week, going 3-2 with Roethlisberger back. After that, they ran off 4 straight wins, and were 6-1 over their last 7 games. They ended the regular season tied for the second best record in the NFC with division foes Baltimore Ravens, but were division champions because they had a better record in the division. Ben Roethlisberger is not pretty and does not have great statistics, but always seems to find a way to win games in the end. He has completed only 56.9% of his passes, has thrown two TD’s, two INT’s, has been sacked 8 times, and has a passer rating of 75.5 in their two playoff games. Roethlisberger must have protection from the speed rush of Clay Matthews (3.5 sacks in playoffs, 17 total), and cannot be forced to throw late into coverage against the Packers defensive backs. 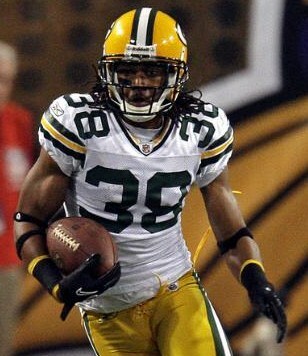 Green Bay Cornerback Tramon Williams had 6 interceptions on the season, and has added 3 more in the playoffs. The Steelers have a balanced offense as they almost averaged the same number of rushing plays as passing plays on the season. They will not beat you by spreading the field, trick plays, or special teams. Their main ability to win is to run the ball down your throat, and then sneak a pass by you when you least expect it. Rashard Mendenhall is the horse that pulls the wagon down the field. He needs to have a good game in order to move the chains and keep the Packers more potent offense off the field. A successful running game feeds the Steelers passing game, as it will help set up play action and avoid an all out blitzing attack by the Packers. Tight end Heath Miller has been the go-to guy in the playoffs, but they also have a deep threat in Mike Wallace, and Hines Ward is always clutch. The Packers need to try and stop the running game and play tight coverage underneath, as Pittsburgh is typically not a big-play offense. The way the Steelers win is through their defense. They led the league in sacks (48), were number one against the run (62.8 rushing yards allowed), and number one in fewest points allowed per game (14.5). They also had a +17 turnover ratio for the season, but are even in turnovers for their two playoff games. Both teams have a rich history of playing in the playoffs, and in the Super Bowl. The Packers and Steelers have combined for 9 Super Bowl titles. 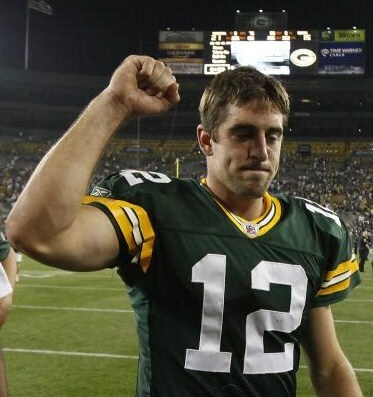 The Packers have an overall playoff record of 28-16, have won 3 Super Bowls and 9 NFL Championships. The Steelers overall playoff record is 33-19, and they have won a league-high 6 Super Bowls. This is the Steelers third Super Bowl appearance in the last six years, and their eighth appearance overall. The Packers have not been to the Super Bowl since 1998, and haven’t won since 1997, but were pre-season favorites to make it this year. As far as the teams go, the Steelers have the experience of having been there, done that. For almost all of the Packers, this is their first Super Bowl, and it would benefit them to get an early lead. Defense should rule this game, and it should be a low scoring event. Look for big plays, such as a sack and a fumble, or an interception that may end up being the difference between who wins or loses. If the Super Bowl comes down to the last drive of the game, Packer fans better hope that it’s not Roethlisberger with the ball. Whoever scores 24 points or more should be able to win Super Bowl XLV. ~ by Troy Erickson Realtor on February 4, 2011.